Industrial interiors would have to be the most popular style for loft apartments, old buildings, re-purposed and commercial sites. The style is all about proudly showing off the buildings architecture and using this as the canvas for furnishing and decorating. 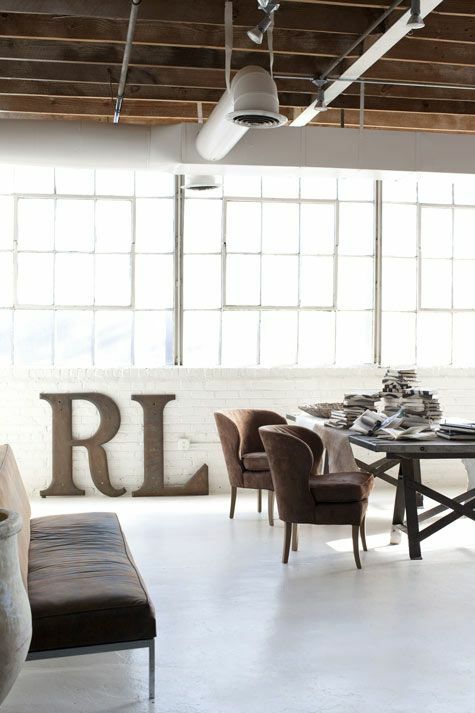 Industrial spaces are like a naked form – raw and ready to be styled. The look is all about polishing a raw, unfinished look, but without finishing it off. It’s embracing an exposed brick wall, concrete floor or exposed trusses and then adding in furnishings to compliment and enhance the space. This aesthetic works best alongside modern, minimalist or rustic styles and today I’m going to share some key elements of how to achieve this look. 1. Colour – Industrial interiors are typically very neutral with their colour palette. Think browns, greys, blacks and crystal, clear whites. It’s about using what’s already in the space and not adding items that will fight or try to take the spotlight away from what’s already there. 2. 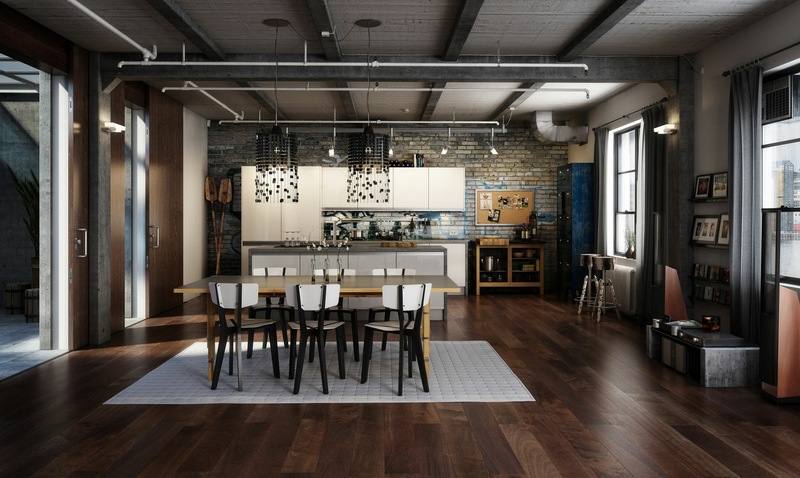 Texture – Raw and unfinished surfaces are quintessential to industrial spaces with exposed brick walls, concrete or timber floors and exposed ceilings being some of the key components. Layering on top of that can be anything from a lush, velvet sofa or modern chandelier to a mixture of metals or raw timbers pieces. 3. Space – Take a look at most industrial spaces and you may note that white space is generally in abundance, whether it’s floor space, space on the walls or furniture that has not been layered with accessories or accents. Industrial interiors work best with minimal accessories so the features of the building can take centre stage. If you’re lucky enough to be in an apartment or building with exposed brick walls, ducting or concrete floors, use this to your advantage and let the building do the talking. Feel free to add you’re own style and personality. If you’re more inclined to a vintage or modern look go with that flow, but remember to take two steps back to ensure you’re not over-doing the look.